Later this month, award-winning author Eliot Pattison’s tenth and perhaps last instalment of the Inspector Shan Series will hit book stores everywhere. Titled Bones of the Earth (Minotaur Books, March 2019), this story once again thrusts the complicated Inspector Shan into a multi-level power struggle from which he must wrestle justice out of the hands of angry gods of both China and Tibet. -I write about Tibet not because I am a Buddhist but because I am not a Buddhist, because the ultimate treasures of Tibet are ones that transcend religion or philosophy, lessons that the rest of the world needs desperately to learn. Converting to the cause of Tibet does not mean a conversion to Buddhism, it means a conversion to compassion, self-awareness, human rights and political equality. -I write about Tibet to give those who do not have the opportunity to travel there to understand what it feels like to witness an armed policeman assault a praying monk. -I write about Tibet because after traveling a million miles around the planet I know of no more perfect lens for examining ourselves and the world we have created. -I write about Tibet because in a war between an army of monks bearing prayer beads and an army of soldiers bearing machine guns I will side with the monks every time. -I write about Tibet because of the despair and shame I feel over what prior generations did to the American Indians and many other original peoples. I know that though the same thing is happening in Tibet, this is our generation, it is happening on our watch, and I don’t want my descendants shamed by what you and I allowed to happen there. -I write about Tibet because there is no purer symbol on earth of the struggle of soulless bureaucracy and sterile global economic forces versus tradition, spirituality, and ethnic identity. -I write about Tibet because the world below is starved for heroes and saints and there are so many unsung ones living on the roof of the world. -I write about Tibet because I can hear more in one hour beside a silent monk than in a hundred hours listening to Western media. -I write about Tibet because in it lies the seeds of the antidote for the troubled world we have created. -I write about Tibet because Tibet is a monk sitting in front of a steamroller, and if enough people around the world sit with him we can stop the steamroller. The ultimate credo of the ideologue who commanded the invasion of Tibet was that political power grows out of the barrel of a gun. In this as in so many other aspects Tibet has shown us a new truth — for Tibetan resistance has proven the opposite. Clearly, Pattison’s historical fiction intersects with Buddhism on many levels not limited to his story settings in occupied Tibet. Since Pattison is a human rights advocate and his novels depict Tibetan Buddhism lived out under Chinese occupation, his narratives are, of course, political. While the author himself is not a Buddhist, his protagonist is, as are many other characters in the novel series, and through these characters, readers learn more about Tibetan Buddhism. I think that the fictional character, Inspector Shan, is ingenious because he provides Pattison with the opportunity to combine imagined lived religion with human rights advocacy. And Pattison imagines this lived religion in minute detail. For example, I read the Skull Mantra over a decade ago, and I still remember a description of silent mantras performed as mudras by Tibetan monks in a dark jail cell that was so well written I can, to this day, see it all as if in front of me. As with any beloved book series, I hope this is not the last instalment of the Inspector Shan Series from Eliot Pattison. If you are just learning about this series now, you have much to look forward to so happy reading! This time of year seems to be a liminal period around the globe, due to the earth’s trajectory around the sun. Even our landscapes cross thresholds as they become colder and wetter or hotter and dryer. Time seems to act differently. Clocks are changed due to global daylight savings time. We feel more intensely the rhythms of our universe; our connections to everything seem more tangible. This liminal period complicates boundaries so that, ironically, we might perceive portals previously unnoticed. Elyse Salpeter’s Kelsey Porter novel series is befitting reading for this season. Beginning with The Hunt for Xanadu published on Amazon Digital Services in 2013, Salpeter has created the protagonist Kelsey Porter such that her character’s development depends on her growing knowledge of Buddhism, and Tibetan Buddhism in particular. The protagonist’s surname “Porter” is apt. Kelsey must find and open the door to Xanadu, which in Salpeter’s first novel is depicted as a Shangri-La-type place of Tibetan Buddhist legend. Salpeter has developed her protagonist character over an entire series, now into a fifth instalment, titled The Search for Starlight. With the recent release of this fifth novel in the series, Salpeter hopes to answer many of the questions brought up by Porter’s adventures and development, and this includes questions about her character’s intersection with Buddhism. The Kelsey Porter novel series is liminal in various ways. As described, the protagonist is liminal in the way that her character parallels a threshold (no spoilers – you’ll have to read the novels yourself to find out how). And as advertised on Amazon, the whole novel series itself functions as a threshold between “the real and the fantastic.” In an email exchange, Salpeter wrote to me that her Kelsey Porter series of novels, in particular, is “steeped in Buddhist spiritual lore” and she did a “tremendous amount of research to make them believable.” So there is a good deal of “reality” or Buddhist concepts and ideologies grounding the story. And where Salpeter stretches Buddhist myth she creates the “fantastic” elements of the novels. It’s this stretching of Buddhist myth, particularly Tibetan Buddhist cosmological worldviews, that allows for the generation of liminal space between cultures in Salpeter’s work. She uses Samuel Taylor Coleridge’s poem “Kubla Khan” and his concept of Xanadu to conflate and duplicate the Tibetan concept of Shangri-La first presented to Western readers as a utopian earthly paradise in the Himalayas by British author James Hilton in his 1933 novel Lost Horizon (Mass Market Paperback, 1945). The plot line of The Hunt for Xanadu is dependent on the stretching of Buddhist myth. Due to the relationship between Xanadu and Shangri-La that Salpeter sets up, I was reminded of Prisoners of Shangri-La (University of Chicago Press, 1999) by Donald S. Lopez Jr., a text that takes to task the romanticization of Tibet and Tibetan exile while holding up to the light the ways that the West, including scholars, have co-opted and misrepresented Tibetan Buddhism and culture. Because of the plot premise/protagonist in The Hunt for Xanadu, Salpeter’s Kelsey Porter series of novels dances near a threshold, a fine line between misrepresentation, cultural appropriation, and creative license. She works hard to never intentionally cross that line, but readers will have to decide for themselves if thresholds are forded. The fine line encourages reading the Kelsey Porter series of novels as an imaginative space of negotiation in which the representation of Tibetan Buddhism to contemporary Western readers is offered through “mystery”. By this, I mean that the genre of the novel series – mystery – becomes a space to unpack a complex religious tradition in the context of modernity, thus making it seem a little less mysterious. Further, mystery in the novel is often narrated as esoteric rites, even though imaginary, to which only initiates are usually admitted, thus exemplifying the idea of mystery religions. In all, Salpeter’s work is entertaining while providing a space to re-examine the discourse surrounding Shangri-La, with all of the cultural complications and intertextuality that entails. Dianne Harke’s first novel, Incognito: The Astounding Life of Alexandra David-Neel is a fictional biography that might not have been completed but for the curiosity and encouragement of John Negru, Publisher at The Sumeru Press, Inc. As Harke explained in a recent interview, Negru read the first few chapters on Wattpad and offered to publish the finished manuscript. The Sumeru Press, Inc. is one part of Sumeru Books, a Canadian publishing company that focuses on Buddhist books, art and news. 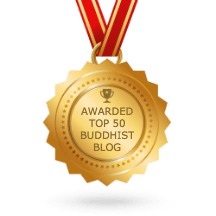 It is an important hub on the Canadian Buddhism landscape: “In addition to [their] publishing activities, [they] also maintain Canada’s leading Buddhist news blog (accessible at the bottom of [the] home page), and a directory of more than 580 Canadian Buddhist organizations (www.canadianbuddhism.info).” Sumeru also promotes a space for Canadian Buddhism on the international cultural landscape, as evidenced in this recent letter to the editor of Tricycle Magazine, Spring 2017 entitled “Northern Neighbor Neglect.” So when John Negru contacted me about Incognito, I knew I was in for a treat. Alexandra David-Neel was an early 20th-century French explorer, spiritual seeker and feminist who travelled throughout Asia, including Bhutan, China, India, Japan, Sikkim, Sri Lanka, and Tibet. Her journeys into sometimes dangerous areas were attempted during times of insular rule (Tibet was closed to the outside world) and times of great turmoil (such as the onset of WWI or the Second Sino-Japanese War). To move forward, Alexandra often had to travel incognito. Her adventures would have made for a good spy novel but she travelled in earnest search of various forms of enlightenment. Through her journeys and the application of her keen intellect, she became a scholar of Sanskrit, Tibetan, and Tibetan Buddhism. She was revered by lamas and tulkus and the European academy as well. Harke’s book is not merely a straightforward biography of Alexandra’s life. An author’s note both begins and sets the tone for this special work. In the note, Harke relates that there is an invisible line between fiction and non-fiction. Even though she has done substantial research for the biography on the extraordinary life of Alexandra David-Neel, the book is a work of fiction. As support for her assertion, Harke cites Alexandra herself who advised that Tibetan authors use their imaginations to a measure that finds its equal in Western fairy tales, except that all of the “extravagant wonders that abound in their narratives” are taken as authentic events. While the subject matter of Harke’s biography may suggest that this is a book filled with imaginary adventures, it is actually the author’s writing style that pushes the work across the threshold of fiction. Harke’s rigorous research and choice of both first and third person points of view narratives simultaneously generate and situate the voice of Alexandra. The author fairly channels Alexandra to give the reader a backstage pass into the spiritual seeker’s internal and external worlds. Were it not for Harke’s detailed research grounding this story, the life of Alexandra would be difficult to believe simply because it is so very astounding, as the title of the novel suggests. Over the course of her life and travels, Alexandra met with European and Asian dignitaries and ambassadors, befriended a Sikkim Prince, and discussed Buddhist concepts with both the Panchen Lama and the 13th Dalai Lama. These meetings helped to nurture her scholarly pursuits to learn and translate Sanskrit and Tibetan and to better understand Buddhist concepts. But her experiences travelling incognito allowed her a spiritual development which augmented her education in a way that traditional scholarship could never replicate. Harke’s first person narratives of Alexandra’s time in China, India and Nepal and subsequent journey to Lhasa, Tibet are peopled with a variety of savoury characters, from helpful shepherds and villagers to cave-dwelling hermits. In travelling incognito, Alexandra learned and lived her own version of Tibetan Buddhism. For example, she developed and used the fire of tumo, a meditative method of physiologically warming the body that was useful in the extreme conditions of the Himalayas (p. 101). In one side adventure, Alexandra was witness to a powa recitation, the “mystic incantation” that is chanted at the deathbed of a Buddhist to assist with the transference of consciousness to the next life (p. 113). And she experienced dream yoga after an encounter with a mysterious lama who insisted that she stop travelling incognito so that she could once again wear the rosary and rings of an initiate of Tibetan Buddhism (pp. 135 – 136). The effect of the first person narratives reads like a first-hand description of lived Tibetan Buddhism during the mid-twentieth century. There is one more success in Harke’s first novel that I wish to mention in case it is overlooked. Whether intentional or not, her renderings of the European cultural contexts behind Alexandra’s story are instructive. The glimpses into the modus operandi of the Theosophical Society gave me a sense of how Theosophy and Spiritualism dovetailed with Buddhism and Hinduism at the turn of the twentieth century. Further, the systemic Orientalism that pervaded (and still permeates) Western societies’ perspectives of the “other” are evident in the form of descriptions of Protestant Buddhism: an idea of a “pure” Buddhism interpreted from the Pali canon that discredits and excludes any “folk ritual” and “superstition.” Orientalist representations are described in some of Alexandra’s surprised reactions to her early experiences of Buddhism outside of Europe. For example, in a scene rendered from 1891, Alexandra was in Colombo and for the first time attended a Buddhist temple only to be greeted with “a huge Buddha lacquered in a hideous canary yellow, like something in a lurid carnival. By its side supplicants had placed a package of toothpicks and a glass jar containing preserved carrots and peas. Do they really think that the Buddha nibbles pickled vegetables as he meditates? (p. 35).” Decades later, after living as a Buddhist in Tibet, her reactions to such forms of lived religion were conveyed as quite the opposite. Lastly, the juxtaposition of Alexandra’s feminism poised against European culture at the fin de siecle is played out beautifully in her patronly marriage to her husband “Mouchy” and her adoptive “parenting” of a Tibetan Buddhist lama, Yongden. I have noticed in my tracking of Buddhism and fiction that mysteries and Buddhism go well together; mystery novels with Buddhist themes and worldviews abound. Recently I was reading an interview of fiction author Susan Dunlap. The interview is entitled “Fiction is a lie that illuminates the path to compassion” (by Andrea Miller, Lion’s Roar [formerly Shambhala Sun] June 27, 2012) and in it Dunlap explains how all of her works are infused with Buddhism, how her work is Buddhist fiction. Dunlap is a mystery writer and while her Darcy Lott Mystery series reveals Buddhism most overtly, she maintains that Buddhism is behind all her writing because it is part of her worldview and she is “constantly weaving dharma into [her] stories.” Perhaps this is why Dunlap suggests that mysteries are a “succinct reflection of the Buddhist concept of karma,” because for a mystery to work, the victim of the mystery has “done something to set in motion the wheel of karma in their lives.” Further, Dunlap says that the detective who is trying to solve the mystery is looking for what is real. Isn’t this what the Buddha was doing under the bodhi tree? Given this relationship between karma and mystery, readers of Buddhist fiction may not be surprised at the suggestion that the ultimate detective, Sherlock Holmes, acquired his best training during “the missing years.” In Arthur Conan Doyle’s work The Adventure of the Empty House, Holmes explains to Watson that after his plunge over the Reichenbach Fall with Moriarty: “I travelled for two years in Tibet, therefore, and amused myself by visiting Lhassa and spending some days with the head Llama. You may have read of the remarkable explorations of a Norwegian named Sigerson, but I am sure that it never occurred to you that you were receiving news of your friend” (Arthur Conan Doyle. The Complete Sherlock Holmes (Knickerbocker Classics). New York, NY: Race Point Publishing, 2013, p. 610). Author Jamyang Norbu attempts to fill in the two year gap with Sherlock Holmes: The Missing Years (2001, earlier published as The Mandala of Sherlock Holmes, 1999). Norbu is a Tibetan political activist and writer. He lived in India as a Tibetan-in-exile for over 40 years before moving to the United States. His Sherlock Holmes pastiche begins on the front flap of the book duster, where the publisher informs the reader that Jamyang Norbu merely discovered the story, carefully wrapped in a rusting box. When he opened the box he was greeted with an account of Sherlock Holmes’ adventures from India to Tibet as described by none other than Huree Chunder Mookerjee, the fictional spy who worked for t he English in Kim by Rudyard Kipling. Mookerjee travels with Holmes as he is subsumed into the “Great Game” and then onward to further Tibetan adventures. Apparently the novel suggests that Holmes’ already exceptional powers of observation were heightened and improved by what he learned about Buddhism from his time in Tibet and with the Lama. There is also a current series of pastiches based on Holmes’ “great hiatus”. Bangalore author Vasudev Murthy has thus far written two books as part of his Sherlock Holmes, The Missing Years series: Japan (2015) and Timbuktu (2016). According to the Amazon blurb, Japan includes monks as characters, but I am unsure if Murthy’s narratives intersect with Buddhism to any extent. I haven’t read any of these Sherlock Holmes pastiches but would like to hear from anyone who has. I would like to know if the world’s most iconic fiction detective honed his skills through knowledge of Buddhism or any form of Buddhist practice. If so, how do the “missing years” align Buddhist practices of awareness and mindfulness with Holmes’ powers of scientific observation? Drop me a line and let me know. Chris Beal: For those who haven’t read it, could you describe LUNCH WITH BUDDHA in a nutshell? Roland Merullo: It is, like BREAKFAST, another road-trip book, a look at America, at spirituality, at food and landscape and the interior life. It begins with the whole family together in Seattle, and then, after an event I don’t want to describe here, Otto and Rinpoche head east in an old pickup truck and make their way across Washington State, Idaho, Montana and a bit of Wyoming, having various adventures along the way, talking, eating, meeting characters. For those who haven’t read BREAKFAST, that book is a New Jersey-to-North Dakota road trip taken by the same characters. LUNCH is the next stage on that evolution, with Rinpoche bringing Otto deeper into the interior life, and Otto showing Rinpoche more and more of the American landscape and culture. CB: I find Rinpoche, with his eccentric mix of human foibles and profundity, to be an extremely engaging character. He’s also the source of most of the humor in this tale as well as in its predecessor. How did you come up with the idea for him? Did you know someone like this or is he purely a work of imagination? RM: He’s a mixture of spiritual teachers I have seen, taken retreats with, and imagined. There’s a little of the Dalai Lama in him, a little of the Tibetan master, Sogyal Rinpoche, a bit of the late Zen master Soehn Sahn. I went on brief retreats with the latter two, and found them to be very funny, engaging, impressive men. But in Rinpoche I take that to another level, and have him do things that those teachers might not do. In part, the book grew out of a magazine piece I read probably thirty years ago, the account of the Dalai Lama’s first trip to America. One of his hosts was aghast that people had arranged for him to go to Disneyland, but the Dalai Lama enjoyed himself, went with the flow, with good humor, kindness, without judgment. I wasn’t even interested in Buddhism then, but it impressed me so much to have a great spiritual leader with that kind of sense of humor about things. CB: How did you learn about the obscure branch of Siberian Tibetan Buddhism to which the Rinpoche belongs? Did you choose it because it attracted you in some way or just because its obscurity gave you some freedom to play with the doctrine a bit? RM: It’s made up. I know a bit about Tibetan Buddhism, Dzogchen especially, but I’m the last thing from a scholar. I used my intuitive understanding of those teachings, but I chose this made up lineage because I did not want to be limited to the factual teachings of any one group. One thing I love about Buddhist teachers is how they incorporate and respect the teachings of other faiths. They will mention Christ, for example, though very few Christian teachers mention Buddha with the same respect. CB: But I researched whether there was a branch of Tibetan Buddhism in Siberia, and it turned out to exist. This is an amazing coincidence. But if you didn’t know about it, of course it was made up for purposes of the novel. RM: I should have been more clear about that. I did work in the USSR for almost three years between 1977 and 1990, and did once take the Trans-Siberian railroad, which passes through a place called Skovorodino. And I did know that there were some Buddhist enclaves. So that was in my thoughts when I was writing and having Rinpoche come from Russia. But [the lineage] Ortyk is made up….unless by some weird coincidence it is also real. CB: One purpose of the book seems to be to encourage people ask themselves questions about what is really important in their lives. Could you say something about the role of humor in accomplishing this purpose? RM: Religion is a tricky subject. It’s especially tricky for someone like me, who has zero credentials. I’m not a preachy type, in real life, and do not want to go anywhere near preaching to or trying to convert my readers. Humor helps with that. The big questions are so big, and they can be so serious, literally matters of life and death and afterlife, that, I think, if you don’t approach them with humor the results can be awful. I am trying to “provoke” people to consider things, but I’m not pushing anyone anywhere beyond that, and if the characters and story don’t work, then the ideas will fall flat. CB: The book suggests that communicating with the dead is possible. Have you yourself had any experiences in contacting the dead? Can you talk a little about how you see this kind of communication? RM: No, I haven’t, but I do have friends who feel they have had some communication with lost loved ones. And it is just very hard for me to believe that we form these deep attachments to certain people in this life, and then they end forever when one or both die. Part of what I am trying to do in Breakfast and LUNCH (and now DINNER, which I am writing), is to counter what I see as the excessively materialistic views held by most of us in American/Western society. I don’t mean materialistic in the usual sense–wanting things–but in the sense of believing only in the material, the measurable, the tangible. It seems obvious to me that there is more going on, and while that other dimension of things can be the territory of the flaky and false, I think there is truth to it. I think there is some connection that death doesn’t sever, and I wanted Otto to feel that in this book. CB: Certain plot elements are never developed in LUNCH: the possibility of harm coming to Shelsa, the possibility that she is an incarnate Buddha, the menace posed by the hate groups. Did you intend to set up these plot elements for further development in DINNER? RM: I don’t plan much, don’t outline, just write by the seat of my pants, by intuition, trying to have fun as I go. But in DINNER, I am wrestling with some of those elements, how much to pursue or abandon them. It’s tricky business because the heart of these books is the spiritual evolution of Otto, and I don’t want to turn them into thrillers. At the same time, I like to introduce something new in each book so I am not just playing the same song over and over again. CB: To what extent are Rinpoche’s views on spirituality your own? Are there any ways in which they are not your own? If the answer is yes to the latter question, why did you decide to give him views that differ from yours? RM: They are mostly my own. He is wiser and deeper than I am, and he lacks some of my flaws and troubles. I have tried to put some of me into Otto for that reason, though Otto is very different than I am in many respects. When Rinpoche says something in his teachings, those are things I have thought and wondered about myself, or read or heard from great masters. I try to be careful with that material, try not to simply mimic what I’ve heard, but also try not to have him say something that will be misleading to true spiritual seekers. It’s a fine line sometimes. I feel a responsibility to the truth, as I perceive it, especially in spiritual matters. And while I joke about it in the book, at the same time, I take seriously what I have him say. If it doesn’t work in my own life, or if it feels “off” somehow, then I won’t have him say it. CB: I believe I read that you meditate. Is it a particular type of practice? Are you affiliated with any particular spiritual group? RM: No. No specific group. It’s a hybrid meditation that grew out of a Catholic upbringing, some Buddhist reading and retreats. It’s been an almost daily practice for 30 some years. I start with a Hail Mary and an Our Father, sometimes do a little tonglen, the Tibetan giving-and-taking meditation, then try just to rest as quietly as I can. I like Dzogchen because it seems simple, without a lot of visualizations and tricks. I just watch the thoughts and try to return to some word, idea, or image, and occasionally have moments of calm. In general, it has helped me tremendously. Not that I have any great visions–I don’t–but it has helped me with anger and depression and other tough parts of life that I experienced more when I was younger. Still a long long ways to go to get free of all the negative emotions, but it has helped me so much. I’ve had a lot of physical challenges in my life–broken back, back surgery, back spasms, psoriatic arthritis, shingles, etc. etc. etc. And meditation is so helpful with those kinds of things. My wife and I were married 18 years without having children and I made retreats then. Since the children have come into our lives, I try to stay home, but when they are grown I will certainly do more retreats. I’ve done Catholic, Christian, Buddhist (Tibetan, Zen), Protestant, non-denominational. It all feels about the same to me–an unplugging from the usual run of worries and thoughts. CB: Do you feel you have developed spiritually in the years since you wrote BREAKFAST? If so, how was that development reflected in LUNCH? RM: I think we always develop. Bringing up children, being married for a long time, suffering, traveling, meditating, writing, dealing with the ups and downs of life–all those things have contributed to my own spiritual evolution. I think that happens for every single soul on this planet. But I think if you pay attention to that, if you meditate, for example, or have some other practice, then the effect, the benefit of those experiences, spiritually, is heightened. In LUNCH I wanted to touch upon what happens to a person who loses a loved one. I have friends in that situation. What happens spiritually? What are the challenges? How does one experience and deal with grief? The trick was to have all that in a book with humor in it. But I do see, even in friends who have lost spouses, that humor eventually resurfaces. One never forgets, the pain is not erased, but I do think humor and hope resurface after a time. CB: Is there anything else that you’d like readers or potential readers to know about LUNCH WITH BUDDHA or about the way you work as a writer? RM: I think it is an upbeat and hopeful book, despite a strain of real sadness. The way I work is to write about what I care about, what I’m thinking about. I try to put something good into the world, to entertain, yes, but also to provoke–not in the sense of upsetting people, but in the sense of encouraging readers to think about something they might not have thought about, or to pursue something they have thought about from a different angle. In a sense, my writing is extremely personal. I don’t write at arm’s length, in a scholarly or particularly cerebral way. I want my books to be engaging, entertaining, thought-provoking, fun, carefully written, the kind of book you might read a second or third time. I feel like I just tap into some source–I don’t mean this in any mystical or special way–and take that and put it on the page. CB: Well, you have certainly succeeded in doing this. Thank you so much for writing such thought-provoking and at the same time entertaining books.